The GAC investigate the Magnolia Hotel in Seguin, Texas. Plagued with a history of murder and suicide, the guys try a new magnetic microphone; and see a handprint mysteriously appear. 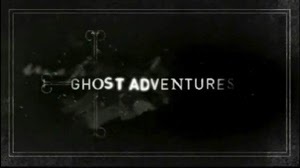 Well I thought I would give Ghost Adventures another shot, my previous review and recap got me a lot of criticism, mainly from the fanboys/fangirls of the show, some of the criticism I can accept since I had never watched the show before. I was told I should see this episode or that episode, that it isn't always that boring. Every excuse under the sun. But I don't want to watch older episodes, as I never like to go backwards, I prefer to give them a clean slate, forget about the past and judge them only on the latest thing they have done. So with that here is my look at what I believe is the last episode of Season 10 which aired a few days ago in the US. One thing that is notable about the start of this show is it's similarities to Most Haunted and their recreations, and history lessons at the start of each show. But the GA production value is clearly much higher and much better produced as a whole. We start off with the usual fancy edits, and Zak asks someone from the hotel if it is haunted, a rather dumb question to ask since she obviously invited them to investigate, you should always doubt any claim by an establishment like a hotel or pub, for the simple fact they will use such claims for promotion and for business. We get to hear a lot of history about the Hotel, and as a viewer we are clearly being primed with information about what has supposedly happened there, what can happen and so on. If this was a legit investigation, this kind of information can only influence any investigator, and would make more sense if this was told at the end of the investigation and to see if it could match anything that the investigators could find out. But of course that wouldn't make for very entertaining TV especially if nothing happened during the episode. Bit like saying "well we found nothing, but apparently stuff happens, but not for us, oh well, is there a Burger King nearby?" Again the biggest mistake of this show and the crew is the start point of believing, it shows a true ignorance of what they are doing as well as a lack of any kind of scientific methodology, but then what's to be expected of a "for entertainment only" Reality TV series. While interviewing the owner of the hotel, she gives off so many facial clues that give away she is perhaps lying or embellishing stories, the lack of eye contact, slight smiles, looking down and so on. Also can I just mention how god awful the recreations are, like a poorly made "The Grudge" rip off. And yes I know that Most Haunted did the same kind of silly thing, but at least they had the gorgeous Mel Crump as the eye candy. Now if Ghost Adventures hired her, then I would be an instant fan. Hang on a second, they are now at the famous The San Antonio Ghost Track, if you are unfamiliar with this, basically there is an optical illusion which makes it feel like your car is moving up hill and being pushed towards some railway tracks, this was debunked years and years ago and many times too. The story goes that there are ghost children pushing your car, people put talc powder on your car and then look for finger prints after. I really hope the GA crew aren't gonna "Do a Palin" and fall for a simple trick. Here is a video explaining it. Ok so to their credit, they easily debunk the finger prints and hand prints on peoples cars, and then they bring along a surveyor who debunks the level of the road, much like the video above. So I have to give them credit for doing that, but the fact is it has been debunked many times before so I am not really sure why they needed to spend 10 minutes debunking something that no sane person would believe in anyway. It does go to show that you cant believe what your own eyes tell you and optical illusions do fool you. I guess for the newbie fan, or uneducated fan, such "debunktions" are a good thing and hopefully will help educate people. We are now back at the hotel and they are investigating, and they hear a noise, and its not followed up, oh well. Now they have some fancy looking device which picks up electromagnetic fields, pure nonsense of course, but it looks nice and makes them look like they have a clue what they are doing. Let me be clear, just because someone says that a device can detect ghosts, doesn't mean it can any more than if I put a toaster on a table. Remember these people are NOT scientists, and this whole scene is rather laughable. Back to the investigation and we are getting more bangs from off camera, of course we have no idea how many people are in the hotel, one of the woman claims she has been pushed in the back by a ghost, and since that claim, it is repeated as if it is a fact. We then have an interesting moment whereby a digital thermometer shows 66.6 degrees just after one of the crew claims to feel a cold breeze, we are then told that "it is said that spirits can manipulate temperature, is this more than just coincidence?" Firstly I don't see anything that is coincidental in nature. Unless they are talking about The Number of the beast! But that is actually 616 as any true experienced historian would know, and that 666 only came about as an anology, and as for his claim that he felt an ice cold breeze, well for all us Brits, 66.6 fahrenheit is a very warm 19.2 celsius. So this was just the GA team desperately reaching to find something out of nothing, and getting it wrong along the way. Oh well. Out come the digital recorders to get EVPs! What always amuses me on such shows is they have digital recorders, yet EVERY SINGLE video camera they have can pick up sound and at a much higher quality than the digital recorders, yet they never seem to pick up the nonsense that digital recorders do! That should be a big big clue as to how such things work! Think of a SLR camera taking a 50 megapixel photograph, and your phones front 1.2 megapixel front camera taking a picture of the same thing, and then wondering why your 1.2mp camera is picking up "artifacts" and "anomolies". Great moment whereby they hear a noise, open a door and see 2 eyes staring at them, and it is a raccoon! And now we know they were never alone in the hotel! You know it really is quite embarrassing the sheer amount of useless "spirit finding" equipment they have. They might as well be waving a banana about in the dark for the actual science data it would provide. Instead of saying "one of the unexplained spirits we have been hearing and feeling", can they just say "one of the raccoons we have been hearing and feeling". For the amount of money they have spent, the lack of any real evidence is telling, the only "unexplained" things are noises off camera. There is a funny moment when a crew member walks into a chair, and their own equipment shows a hand print. They then try to claim that a spirit was holding it in place so it wouldn't move when walked into. I genuinely laughed out loud at this whole scene. At least it wasn't the raccoon! And just when I thought the episode was over, one of the crew ended up having a cellar door fall on him and nearly break his hand, at least they never claimed it was the ghosties! How can fans of Ghost Adventures expect me to take this show seriously when they have such an incredible lack of knowledge of anything they are using! I have to admit the previous episode I watched was just boring as nothing happened, this episode however although markedly more entertaining, has just gone to reinforce any pre-conceived ideas I had about the show and the "malarkey" that they get up to. I know there will be people out there who watched this episode behind a cushion, got themselves all excited and scared, and those same people will be attacking and abusing me after reading this, of course none of those people will be scientists, engineers, or anyone with any true knowledge of how the various "ghost hunting" equipment really works, or the explanations of what they pick up. If you haven't already go read that link I posted just up the page. EDUCATE YOURSELF. That's me signing off for now.